We will get our first look at “Infinity” during this year’s Free Comic Book Day and the story will be written by Avengers scribe Jonathan Hickman and feature artwork by Jim Cheung. It will also feature an exclusive look at a yet to be released title. “Free Comic Book Day: Infinity” will be released May 4th. What are your thoughts on the event? Leave your thoughts in the comments below. Would You Like To See An Absolute Edition of Jonah Hex? ??? I thought Age of ultron was the next big event. How can they have to run at the same time. I think given the fact that six of the ten issues in Age of Ultron are going to be released before FCBD that that might be part of the reason they’re already announcing the next big event. At the rate they are shipping AoU, it leaves the summer completely open for events, which would seem like the perfect time to release Infinity. And who knows, Age of Ultron’s ending might tie directly into Infinity. I’m still in “wait and see” mode when it comes to AoU, only because of Moon Knight and the possibility of a Runaways reunion, but I can say I’m definitely looking more forward to this than I am AoU. 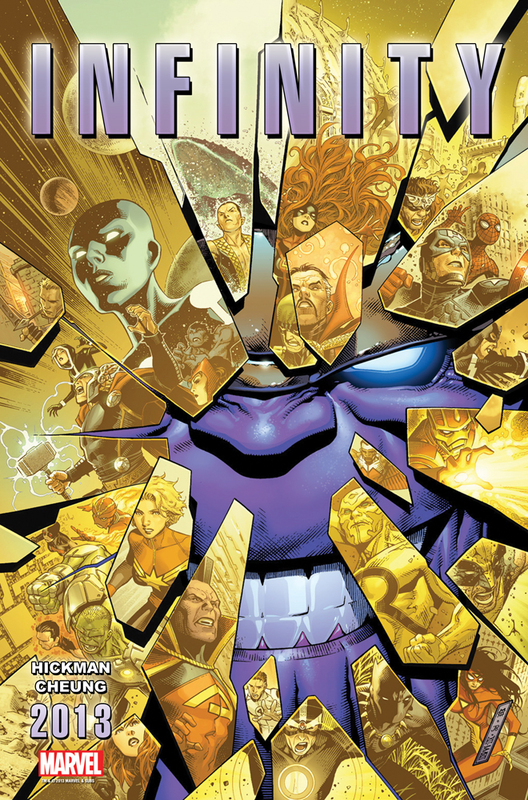 With Hickman involved and at the helm, it should prove to be a really interesting Thanos story. I am excited for AoU and now this. I really hope they deliver a solid event. I would hope that in some way they are connected as you mentioned Travis. I think to have two earth scattering events so close together without some kind of link would almost be overkill. 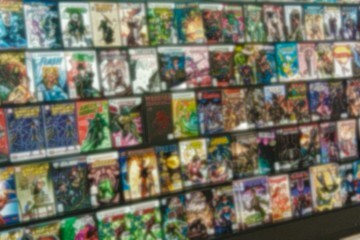 I also hope that it is fairly self contained and doesn’t go into to many ongoing titles. I really do hope they are connected as it sets up a potential for a possible Galactus event (just think: Ultron, Thanos, wouldn’t Galactus make a great third villain?) and/or some other big thing that would potentially be great for the Marvel Universe. If nothing else it would justify the back to back events. Like you said, otherwise it would be overkill. I figure it will be. At worst they’ll do what they’re doing with AoU and have the tie-in books be their own separate thing away from the main story. I would love a great Galactus story to come around soon. I really like the Silver Surfer and was hoping he’d get an ongoing series when I heard about this Marvel now initiative. So far though he has been AWOL. With a Thanos event and the soon to be released Guardians of the Galaxy book I am hopeful he’ll start making some appearances. On another point. I’m wondering how Jason Arron’s Thanos mini series will be connected to Infinity if at all. That’s part of the reason I’d be really excited if they turned this into a “Big Three” event (Ultron, Thanos, Galactus). I love the Silver Surfer and I’ve been dying to see him utilized again in Marvel comics. Imagine what a great creative team could do with him. If nothing else I’d like to see him at least make an appearance. That would be great. Considering the timing of everything, Aaron’s Thanos Rising will probably tie into Infinity somehow. If it doesn’t that’s fine but considering everything it would seem to make sense wouldn’t it? I agree it would make total sense for it to tie in and I hope that’s the case. Good to see another Surfer fan around. Yeah it would be great to see him get a strong creative team on board and once again be a regular player in the Marvel universe. I have to believe with all the talk of the cosmic side of marvel he will be seen around. Here’s hoping anyway. It would seem strange to have an Ultron event shortly followed by a Thanos event without their being some sort of large payoff. I got the idea after reading New Avengers #3 in which there is a 3 panel spread that anyone who read will know ties into what I mean (at least 2 of the three panels). Maybe I’m putting too much faith into Marvel but I trust, especially with Hickman at the helm and knowing how he writes, that there is a bigger picture at work; one that will definitely be interesting to see play out. I’m surprised there aren’t MORE Surfer fans out there. I love the character and if there was a strong creative backing, I have no doubt we could be seeing a potentially great series from him. It’s like you said with the whole cosmic thing, it wouldn’t make sense to not include him if you plan on expanding the cosmic side of the Universe. He’s been a benchmark for it and I’d hate to see him left on the sidelines. I think they listened to the Events podcast and decided to drive Bob crazy by doing ANOTHER Event but with his favorite writer.